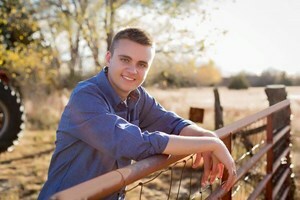 Zachary Leighton Schaffer, 21, of Kansas City, MO, passed away on January 23, 2019. Visitation will be held 2-4pm, Saturday, February 2, 2019 at Mass-Hinitt Funeral Chapel, 805 Caroline Ave, Junction City, KS 66441. Zachary was born on July 31, 1997, in Wiesbaden, Germany to Wendy (Williams) Firestone. He grew up in Hutchinson, Kansas, graduating from Hutchinson High School with the class of 2015. While in school, he participated on the swim team, played violin with the student orchestra and participated in Young Business Professionals Club, winning a state championship in information technology networking. He also participated in the Young Eagles Flight Program. Zach was a member of the Kansas Army National Guard where he was an Intelligence Analyst. Zachary is survived by his mother, Wendy Mottas and her husband, Anthony, of Junction City; father, Stephen Schaffer of Hutchinson; three brothers, Tyler Schaffer of Abilene, TX, Ryan Mottas of Manhattan, KS and Jaeson Allen of Overland Park, KS; one sister, Katie Williams of Abilene, TX; maternal grandparents, Don and Judy Williams of Branson West, MO; paternal grandparents, Sandra Mottas of Junction City and Thomas and Patricia Schaffer of Nowata, OK; aunts and uncles, Ryan and Kelly Williams of Wichita, KS, Joseph Jr. and Gerri Mottas of Hutchinson, KS and Hoang Longfellow of Emporia, KS; cousins, Lauryn, Morgan, Jared and Jada-Mai; nephews, Aiden, Liam, Gabriel, Nolan, Rhett, Brandon, and Jase; and nieces, Mykala and SheaLynn. Please write "In memory of Zachary Leighton Schaffer" in the comments section of online giving or in the memo of any check that is sent, as the memorial is set up in his name for a specific purpose. Add your memories to the guest book of Zachary Schaffer. I met Zach through my brother Khamis. He would come over to my place when Khamis would come over and listen to music, play video games, and often sing karaoke (a little off-key) together as I giggled watching those two knuckleheads. But I loved being in their presence because my gosh it was fun!!! When Khamis passed, Zach road with me to his visitation and we listened to the songs that were going to be playing in preparation. We both cried together and held hands as we drove to the hardest thing he said he’d ever been through, and that went for me too. I just remember hugging him after we saw our best friend and crying and it was comfort I needed. He gave it to me even though he needed it too. That was a truly special moment for me, that I knew I gained a lifelong friend. After Khamis’s passing, Zach lived so close that we always checked on each other. He would come over every time I cooked my potato soup and he’d eat BOWLS of it. It was his favorite. :) I’d bring him food and hang out at his place and tell him things I wish I could tell Khamis. Zach would say you know he’d tell you this, this, and this always followed by a hug. We were both hurting and supported each other. Whenever I’d leave, I’d give him a big hug and say, “Take care of yourself kiddo.” Zach, you were an amazing, genuine, kind, and funny person. I will truly miss you, my friend! You and my brother don’t get in too much trouble up there having fun and being at peace in a beautiful place. I love you, kiddo, RIP. I had the chance to talk to Zach when he was at Judy and Don's. He was such a good looking young man and had a nice visit about what he was doing in town. He had come back to visit friends and stop to see his grandparents. I was very saddened to hear about Zach. Please know that my very sincere thoughts and prayers are with you all and especially with you Wendy. I am so very sorry to hear about the lose of Zach. I remember Zach coming to the house during swim season and coming over to hang out with my boys, Adam & Jarod. He was always so polite and sweet. In the years after graduation he would come by the house to say hi and chat for a while. He will be missed by my boys and myself. So sorry to hear of Zach's passing. Such a wonderful young man. I had him at Kids Club Daycare in Hutchinson and he was always a good boy. I remember seeing him bus tables at Village Inn. I said hi but knew he probably didn't know who I was. Wendy, I wish I could be there to offer you my condolences, just know you and your family are in my thoughts and prayer. I remember fun times playing at youth group functions. Nerf air soft, dodge ball and such. I remember Zach’s smile and also his frustration when he got out. He was always super into the moment. My deepest condolences to you Wendy my heart weeps with you. So very sorry for your loss! My thoughts and prayers are with you! I only met Zac at my nephews funeral (Khamis.) He asked me if I was ok and put his arm around my shoulders. I am so sorry to hear of the loss of this wonderful young man. My thoughts and prayers are with all of you. May he rest in peace-I am sure that Khamis was waiting for him with open arms. Zach will live on in my heart forever. He was one of the most intelligent, thoughtful, humorous gentleman I have ever met. This whole past year of 2018, I saw him nearly everyday. Zach has the best smile in the world, and he could bring a room full of people together like it was nothing. Even if his day was in the dumps, he would always ask about yours first. From cracking the funniest jokes that would have me crying from laughing so hard, to being able to fall asleep just about anywhere, Zach had a pure heart in this crazy world we live in. He had an old soul, and he could find the light in just about every situation. His music taste was the best, he always showed me new music. I am going to miss that free-spirited hippie more than words can explain. Stay lifted Zachary, I know you’re flying high in the sky. I will never, ever forget you. I love you so much, Jebadiah!